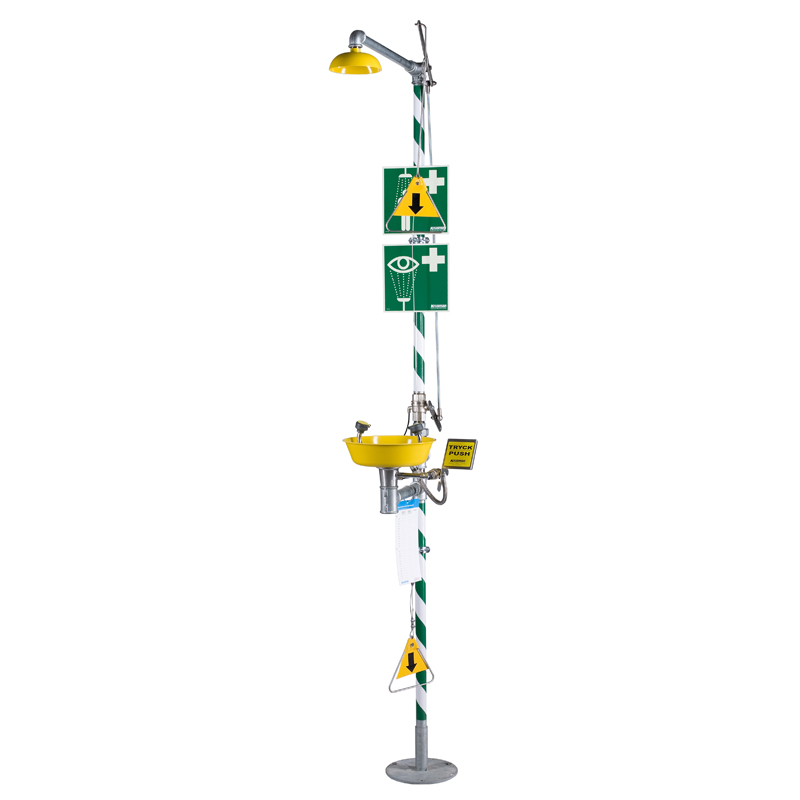 A free-standing, self-draining emergency shower and eye/facewash system for outdoor/indoor use. 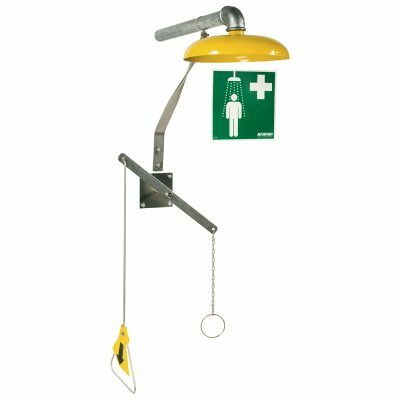 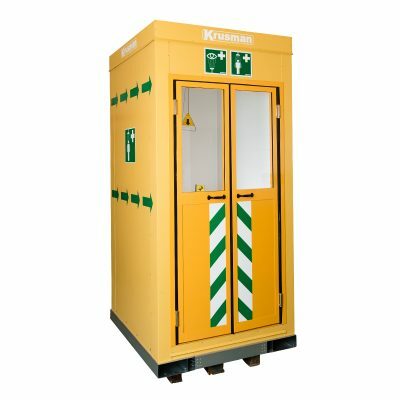 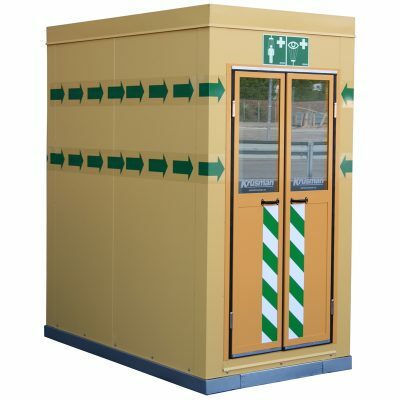 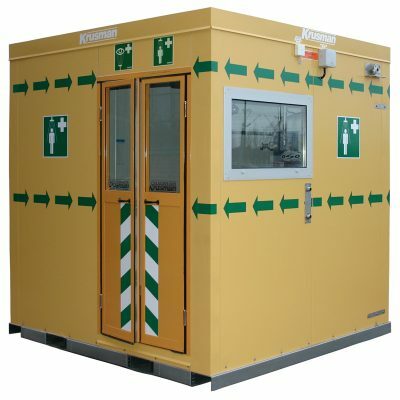 The safety station is delivered with galvanized steel pipes, green/white stripe, spray heads made of polypropylene plastic and shower head in powder-coated stainless steel. 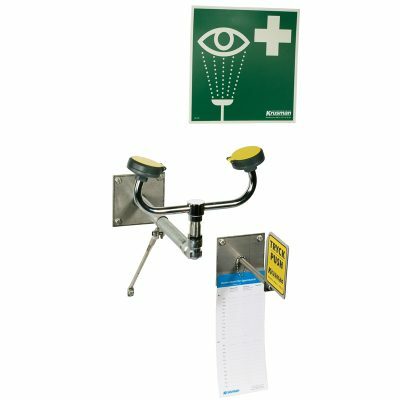 Eyewash 3863, each individual spray head has built-in flow control and filter. 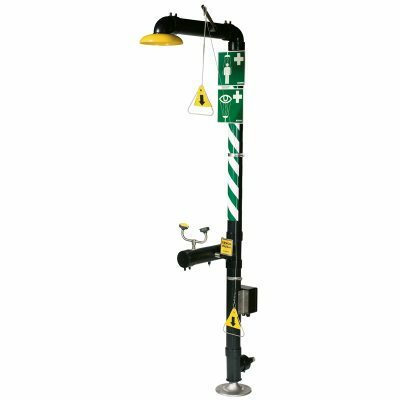 The product is extra suitable in warm climates and prevents hot stagnant water inside the shower.